There are many ways in which a person can injure themselves at work, even at a workplace with OHSA requirements and good ergonomics. Many activities can lead to injuries, including lifting too much weight, sitting too long at a desk or repetitive movements such as typing. These events can lead to either temporary or permanent injuries. In the event of an injury, Illinois workers' compensation laws may entitle you to compensation for your workplace injury. These can include payment of doctor and hospital bills, vocational rehabilitation, payment for lost wages and a disability award in court or by settlement. Securing the money owed to you can be difficult without the help of a workers' compensation lawyer. 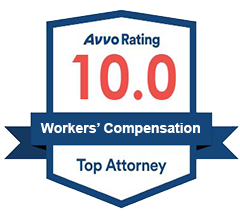 Our workers' compensation lawyers at Mevorah Law Offices LLC can assist you with obtaining compensation for your workplace injury or workplace accident claim. Call us as early as possible to learn about the benefits you may be entitled to. 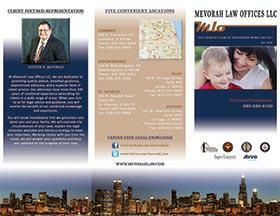 We have several offices located in the Chicago metro area, including; Lombard, Bloomingdale, Joliet, and St. Charles. When an injury first occurs, many employees may think it was not significant and will get better eventually. However, if the injury worsens slowly over time, an employer may attempt to refuse the Illinois workers' compensation benefits by claiming there was no notice given of the injury, that no one saw it happen, or that it didn't happen while the employee was working. It is important that you seek proper medical treatment. Potential claims can be prohibited by law if medical treatment is not received within 90 days from the date of the accident. Special guidelines apply to repetitive injury and trauma cases. According to the state law of Illinois, you can notify your employer of the injury up to forty-five days after the accident. You do not need a witness to file a specific accident injury claim. There is also a possibility of receiving workers' compensation benefits if you had a pre-existing condition that was aggravated at work. Contact a dedicated and caring accident injury lawyer today at Mevorah Law Offices LLC, located in Lombard, Joliet, Chicago, St. Charles and Bloomingdale, Illinois.